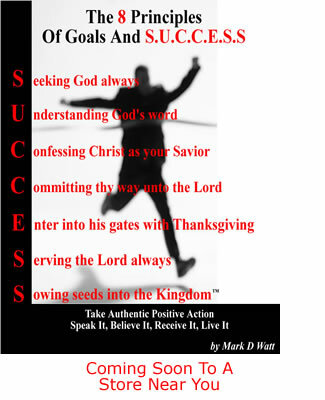 faith filled words | The 8 Principles Of Goals And S.U.C.C.E.S.S. There is power in the words that you speak! Power thoughts power words, three reasons to speak them. There is power in what you say, not so much of what you say to others, but what you are saying to yourself! Spiritual mindset! Would you like to know 6 ways to achieve goals by including trusted friends? Sharing your goals with friends is an excellent way to stick to smart goal examples by making those goals matter. I have included a simple six-step process of setting your goals through your closest friends, keeping everyone in the loop via social sites like Twitter and Facebook, and even broadcasting outside your network to stick with your goals. We are where we are in life because of the conditioning of our minds, in other words the wrong learned behavior or right learned behavior. Which one of these two learned behaviors reflects your life? How can one replace the wrong programming of one’s mindset with the correct programming? You can accomplish this by implanting new programming into your mindset. In other words, the “renewing of the mind” is the key. One of the major issues with “renewing of the mind” that you experience is that your mind will “reject” the new programming or thoughts. When you begin to apply the principles listed here on a daily basis, the transformation can begin. Change your mindset and change your life. What key of wisdom can I use to change my thoughts? What is another key of wisdom that I can use to change so that my thoughts are of a positive mindset, and be successful in every area of my life? What is another key of wisdom can I use to change so that my thoughts are established correctly? It is imperative that we apply the right type of thoughts. There are many questions and the answers and principles are available to all of us. We must be willing to authentic positive action. Here is a “thought aware” tip. What voice or what thoughts do you obey? Take note! Be on guard against wrong voices and thoughts.